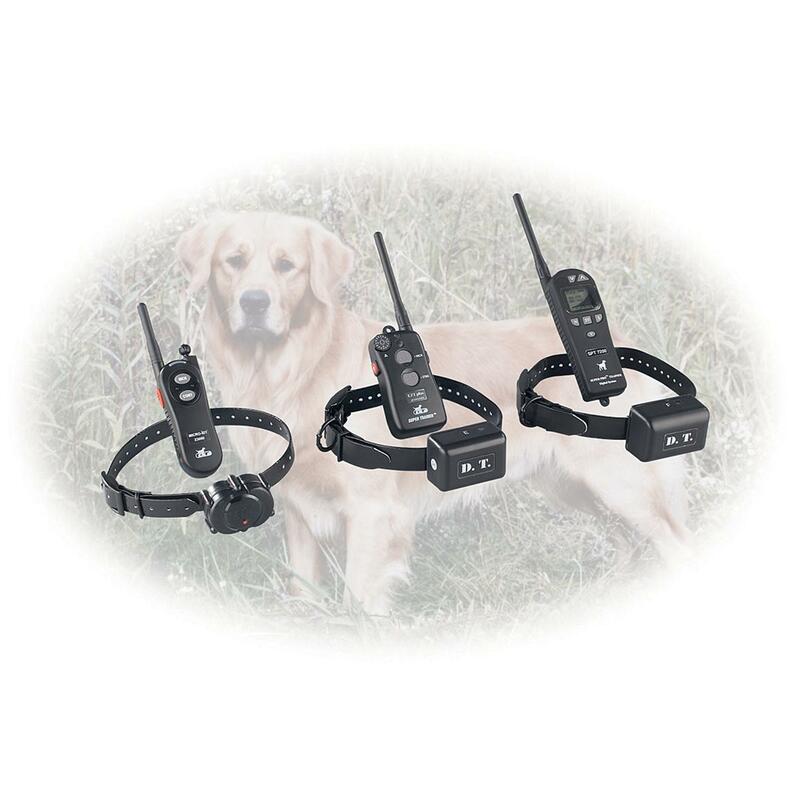 Quick, efficient, easy DT SystemsTM Dog Training Collars! Great dogs aren't born, they're made. These Collar Trainers stimulate in a broad range of intensities. So your dog gets just the right amount of "juice" to discourage bad behaviors. The Collar is waterproof, and a Maxx-RangeTM internally woven antenna makes it light and unobtrusive. Unlike many others, the transmitter uses a special FM frequency that closely follows the lay of the land, so your dog won't get "lost" behind hills, obstructions. Rechargeable batteries for collar and transmitter are real money-savers. For more varied training exercises. Vibration setting allows gentler "correction"
Transmitter is 4 3/8", 4" antenna. Collar 5 ozs., transmitter 5 ozs. 11 1/2 x 3 1/2 x 9 1/2 " hard case.